Amber Case is a cyborg anthropologist and user experience designer from Portland, Oregon. She studies the interaction between humans and computers and how our relationship with information is changing the way cultures think, act, and understand their worlds. She is the co-founder and former CEO of Geoloqi, a location-based software company acquired by Esri in 2012. 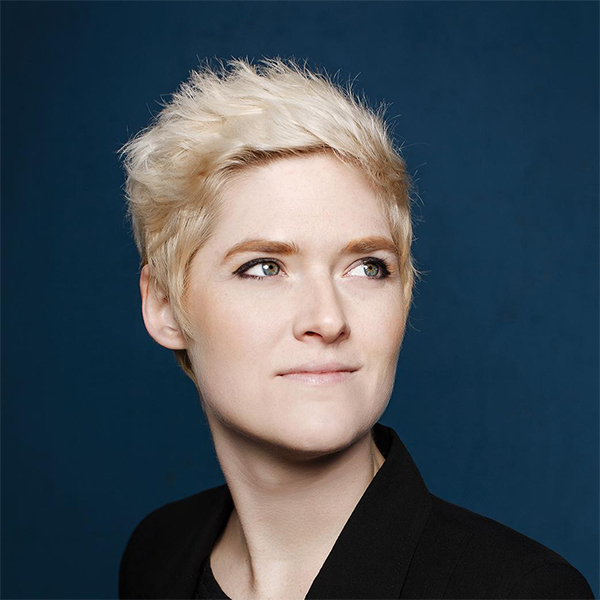 She spoke about the future of the interface for SXSW 2012’s keynote address, and her TED talk, “We are all cyborgs now,” has been viewed over a million times. Named one of National Geographic’s Emerging Explorers, she’s been listed among Inc. Magazine’s 30 under 30 and featured among Fast Company’s Most Influential Women in Technology. In 2008, Case she CyborgCamp, an unconference on the future of humans and computers. Case is the author of An Illustrated Dictionary of Cyborg Anthropology and Calm Technology as well as numerous articles on the web. You can follow her on Twitter @caseorganic and learn more at caseorganic.com. The Innoday is an invitation only event. It is intended for the recipient only and is non-transferable.